Home World Affairs US Prez Trump considering third nuclear summit with North Korea. US Prez Trump considering third nuclear summit with North Korea. 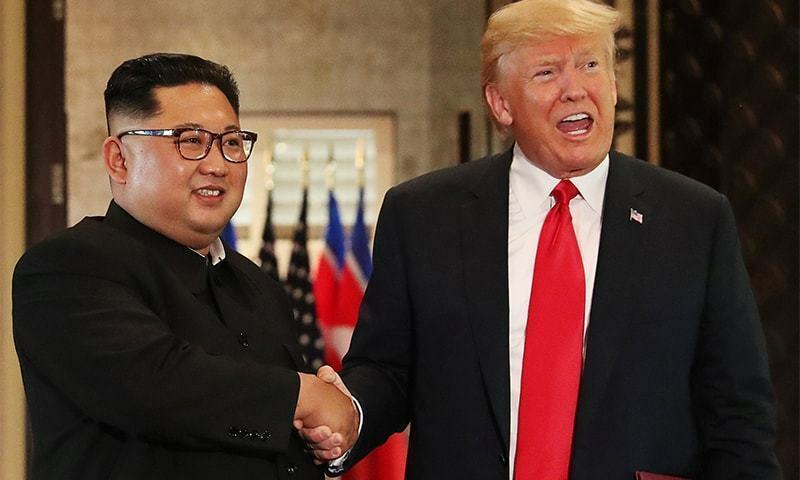 US President Donald Trump has said that he is considering a potential third nuclear summit with North Korea’s leader Kim Jong Un. Trump said, a peaceful resolution of the North Korea standoff remains within reach, and that he continues to place considerable hope in his personal brand of diplomacy. US President said although the broader sanctions should remain in place, but he has stopped new measures against North Korea. At the start of talks with South Korean President Moon Jae-in at the White House, Mr Trump said he supports South Korean moves to bring humanitarian relief to North Korea despite the sanctions.